Julia Roberts Breaks Her Silence on Garry Marshall's Death: "His Love Was Unconditional"
Julia Roberts is mourning the loss of one of Hollywood's most beloved figures. 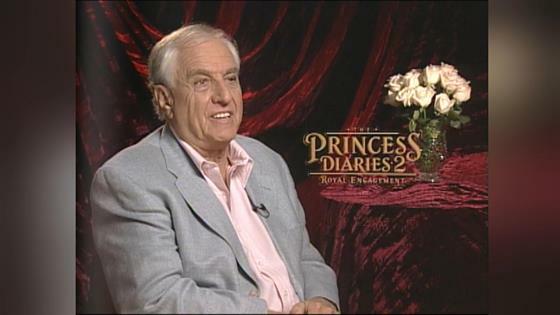 Legendary director, producer and writer Garry Marshall unexpectedly passed on July 19, bringing together a laundry list of A-listers whose careers he is often credited in launching to remember the timeless contributions he gave to film and television. Roberts is no exception to his legacy, with her portrayal of a naive prostitute opposite Richard Gere in the Marshall-directed Pretty Woman serving as a major catalyst for her stardom. The Oscar-winning actress spoke to People magazine on the profound loss, saying, "To know Garry Marshall was to love him. And I was luckier than most to have loved him for my entire adult life and luckier still to have been loved by him because his love was unconditional, inexhaustible and magical." Julia would go on to join forces with Garry nearly a decade after Pretty Woman hit theaters, this time for Runaway Bride and later in supporting roles in 2010's Valentine's Day and 2016's Mother's Day. By meeting Marshall at just 21-years-old, she couldn't help but acknowledge the impact he had on shaping her future career aspirations and choices. Referring to Marshall's "innovative and simply amazing" professional life, Roberts recalled, "I was 7-years-old when Happy Days came on TV. Followed a couple of years later by Laverne & Shirley and then Mork & Mindy. I have said before that Garry Marshall raised me, and it is rather true." "For 10 years he made all who watched television laugh and learn and strive to be better, more open people. He taught us to be nice, that life could be simple and sweet and, most importantly, that friends and family were everything," the 48-year-old added. Julia continued to touch on the importance of Marshall blending his personal life with the art he created, saying, "Anywhere he traveled and each story he told contained his love and devotion and gratitude for his family. He taught by example how work and family intertwine." Moving forward, the Money Monster star has trouble articulating just how responsible Marshall was for "changing [her] life in so many ways." "There is no way to put into words, brief or expounded, how I feel about Garry. He held too big a place in my life and in my heart. He was a giant in every way," she admitted. For now, Roberts finds solace in continuing to spread Marshall's message to others. "I do believe, at a time when the world seems to suffer so deeply, we could all benefit from remembering Garry's ideals and stories of kindness and honesty—how good we can be if we just try."